Krita is a free and powerful sketching and painting application for Windows, Mac OS X, and Linux. It's designed for comic book artists, illustrators, concept artists, the digital VFX industry, and matte and texture artists providing a full-featured and innovative studio for creating professional artworks. 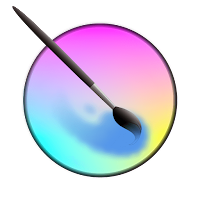 Krita was previously distributed as part of the deprecated KOffice office suite for the KDE desktop environment. The name “Krita” comes from Swedish, and means “to draw” or “chalk” and was taken after the names “KImageShop” and “Krayon” gave problems. The origin of Krita can be traced to Matthias Ettrich’s at the 1998 Linux Kongress. Matthias wanted to show the ease with which it was possible to hack a Qt GUI around an existing application, and the application he chose to demo it with was GIMP. His patch was never published, but did cause problems with the GIMP community at the time. Not being in a position to work together, people within the KDE project decided to start their own image editor application Development focused on an application that was part of the KOffice suite, called KImage, by Michael Koch. Renamed to KImageShop, this was the start of Krita. Disclaimer: Direct downloads for the lastest version of Krita 3.2.1 are provided by the official software's author, we can't guarantee safety, availability or download speed. Moreover, we don't and we won't provide any pirated/illegal versions or tools. We recommend you to avoid it as these methods can harm your device. If you like the software, buy it to support the developers. (We provide software discounts for many worldwide brands).